Every year, more than 8,000 girls and women are trafficked in Nepal. They are being trafficked within Nepal, across the border into India or to other countries. Many of the girls who are targeted have been living in extreme poverty, with limited access to quality education. So when someone promises them opportunities in the city or abroad, they believe they will have the chance to create a better life. Sharmila is 21 years old and was taken to Dubai, where she was forced to work in a family’s house as a maid five years ago. She was sexually exploited by two of the family members and later became pregnant. She got caught holding a fake passport when leaving Dubai and was in jail for a few months. Lured by her neighbour, Sharmila thought going abroad could help the family. Sadly, Sharmila was sexually exploited by one of the family member. She cried a lot and wanted to go home. But she got rejected as the family had bought her for a lot of money. “I thought going there was my mistake, so I needed to stay until I paid that money.” But then another member sexually exploited Sharmila and she became pregnant. Sharmila was almost 18 when she returned to Nepal. Her family brought her to a shelter where she could take a good rest. One day, blood spilled on the bed and Sharmila was taken to the hospital, but the baby miscarried. She was hospitalised for almost two weeks because of anaemia. 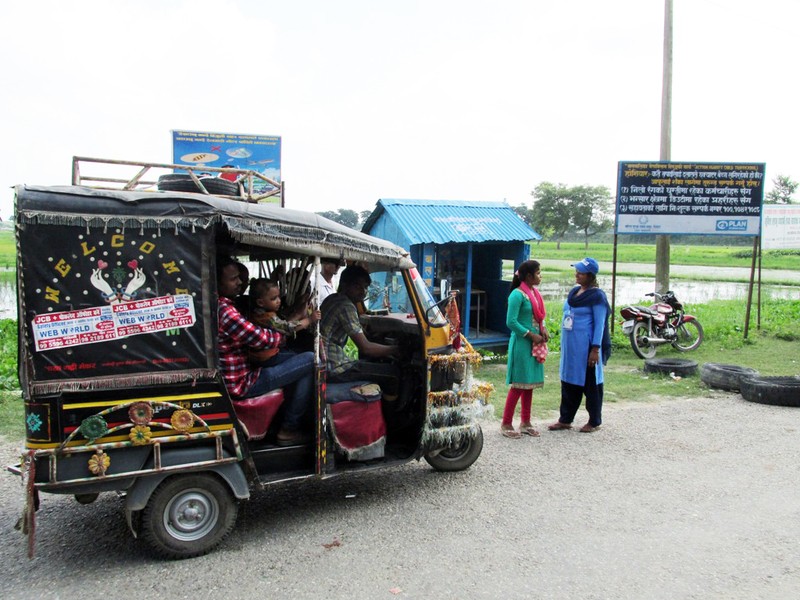 In Nepal, Plan International is working to bring an end to trafficking. We have set up an information booth on the border with India, helping people look out for signs of trafficking and providing a space for reporting concerns. In the first four months of 2018, four girls had already been rescued as a result. Staff of Plan International asks for identity papers from passengers before they travel across the border. Through Children’s Clubs, we are raising awareness of the issue so they are aware of the dangers of abuse and exploitation. We are also working with youth advocates with the aim of securing effective laws that protect girls from trafficking and provide proper support services for survivors. Youth campaigners in Nepal are demanding an end to the trafficking of girls through a global petition. Registered Charity no.91/9789 Copyright © 2017 Plan International Hong Kong. All rights reserved.